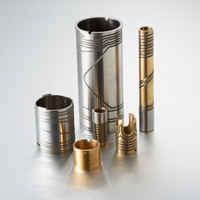 This style consists of a brass conduction tube with grooves machined into the OD. A heater and thermocouple (as an option) are pressed into the grooves. This results in excellent thermal uniformity over the ID of the heater. Since the heater is so well heat sunk, much higher watt densities are possible. This also results in much longer heater life. 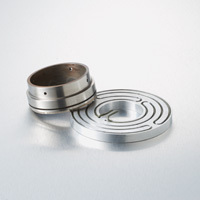 Thermetic’s Kappa Series are constructed with a nickel-plated copper inner sleeve and stainless outer sleeve. The heater is tightly sandwiched between these sleeves eliminating the heat transfer problems associated with other dual sleeved designs. The materials used direct the heat inward towards the nozzle, resulting in a very efficient heater with even heat distribution. The tightly tolerance ID allows a slip fit with no clamping required. Our patented method of thermal profiling produces very flat temperature profiles over the length of the nozzle. 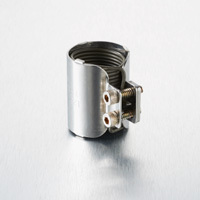 The original "cam lock" heater tightens with approximately a 180 degree turn of a wrench. 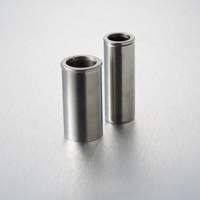 Due to limited adjustability, these are best used in applications smaller than 1.25 in diameter and 2in length, with relatively tight nozzle tolerances. 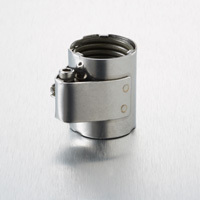 Optimum for applications where further flexibility is required over the camlock, due to wider Nozzle OD variations, or applications over 1.25 in. OD or over 2 in. length is required. This configuration offers optimum clamping and flexibility in applications where tangential accessibility is not an issue. The large range of adjustability lends itself to very large diameter applications and broader tolerances. 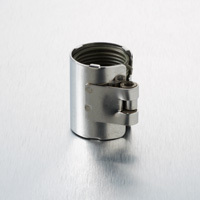 Thermetic Products patented method of thermal profiling utilizes relief grooves machined in the ID of the heater to restrict heat transfer from areas where it is not needed and concentrates it in the ends of the heater near the major heat sinks of the manifold and nozzle tip. 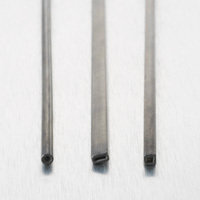 This results in thermal profiles with maximum temperature variation as low as 25° F. This custom engineered solution, unique to each system, can usually be achieved in two design iterations. This option allow placement of the thermocouple near the nozzle tip for optimum temperature reference, while offering replaceability without fully removing the heater. Locating the t/c in the heater housing eliminates the need to machine grooves in the nozzle body to house the thermocouple. 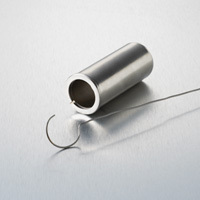 Provided care is taken to ensure proper seating of the thermocouple upon installation, there is very minimal temperature difference between this and a conventional nozzle mounted thermocouple. 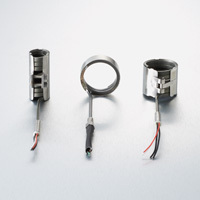 TPI’s patented quick disconnect electrical fittings eliminate the need to rewire the mold every time a heater is changed. 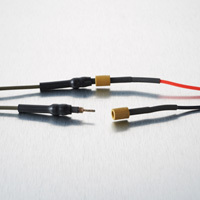 The low profile, in-line fitting is located at the transition from cold lead to lead wire, so the wires can be left in the wiring channel while the heater is replaced. The up-front cost is more than offset by the labor savings the very first time a heater replacement is performed. These exceed UL Requirements. Thermetic Products provides engineered assemblies to various industries for applications such as steel processing, lab/analytical equipment, pellet stove igniters, plastic welding, packaging, extrusion, calibrations baths and medical. Many new designs can be produced in just a few weeks. Complete prototypes in only three to four weeks. Contact us with your requirements and find out yourself.